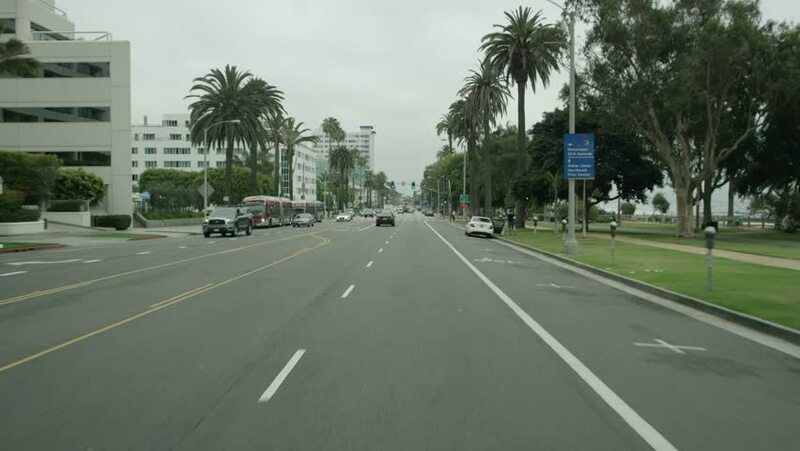 Santa Monica: Los Angeles, CA USA Set #8 - Direct Front angle: Car travels S on Ocean Ave. on a cloudy day in light traffic. Shot on RED Dragon. 4k00:29MIAMI BEACH - OCTOBER 9: 4k video of a car driving along Collins Avenue. Collins Avenue runs parallel to the Atlantic Ocean lines with famous hotels October 9, 2014 in Miami Beach USA.